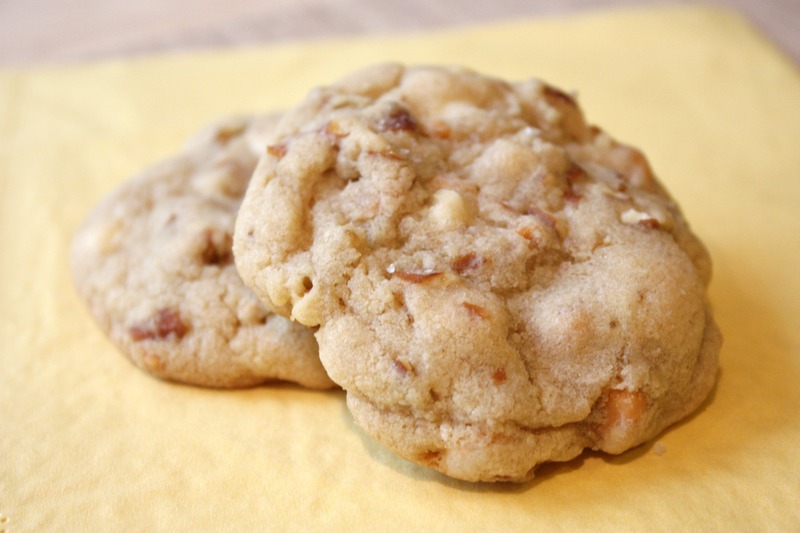 Drop cookies are one of my favorite treats to bake. They come together quickly, don’t make the kitchen a huge mess, and there’s always plenty to share. Plus, they’re portion sized (if you can eat just one, which usually I can’t). 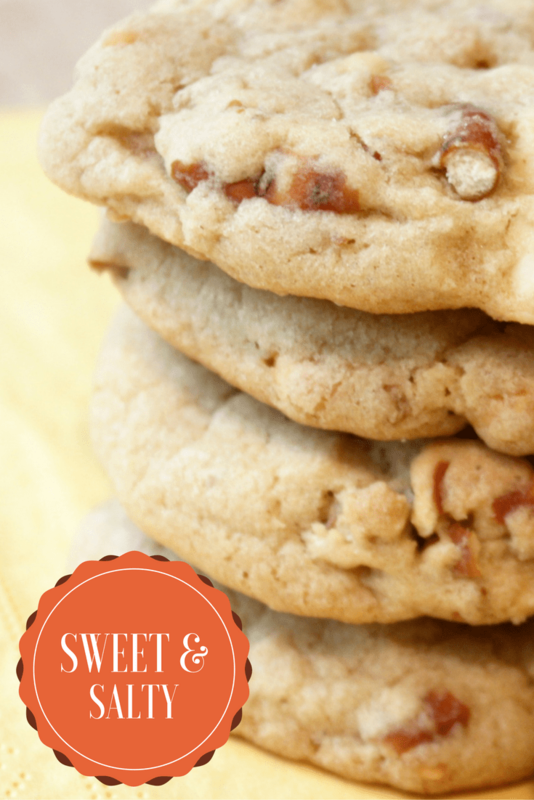 Chocolate Chip are the go-to drop cookies for most people but these might just become your new favorite. They hit all of the important flavor profiles on your taste buds – sweet, salty, and a little sour. Give them a try. I know you’ll love them. Preheat your over to 350 degrees. 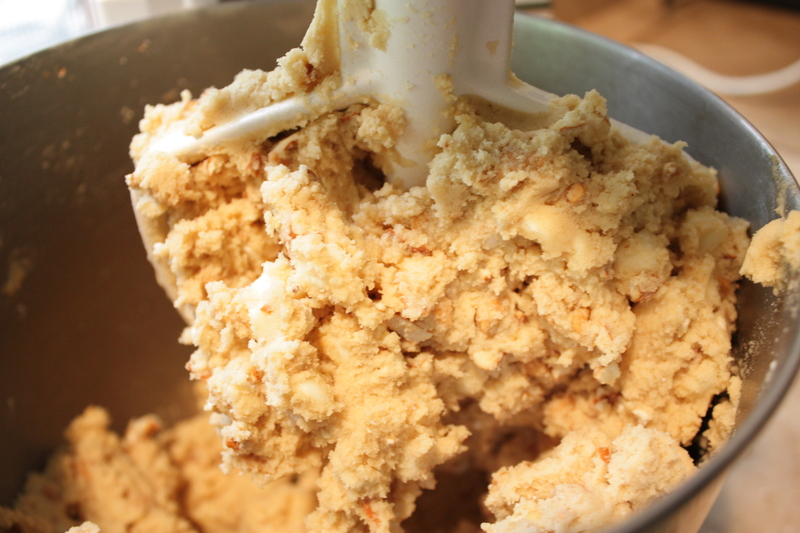 In a large bowl or stand mixer cream together butter and both sugars. Beat in the eggs and vanilla. Mix together the flour, salt, and baking soda. Slowly add it to the butter mixture until well blended. 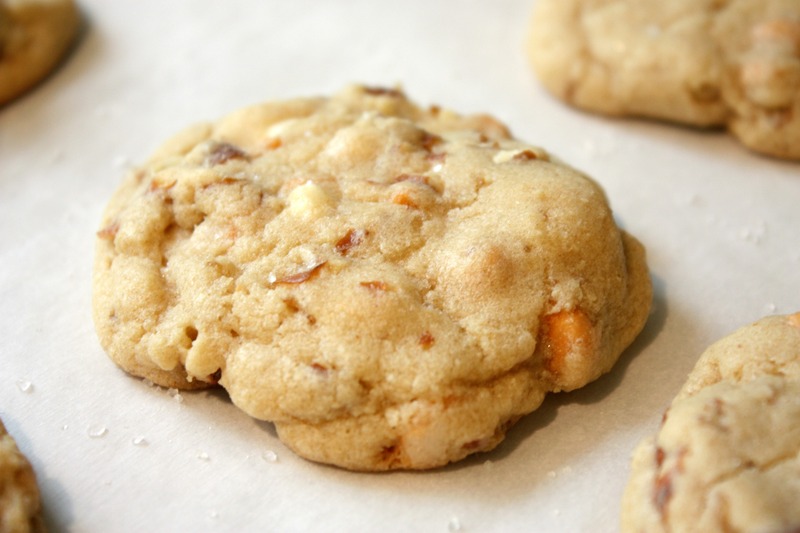 Gently mix in the white chocolate chips, butterscotch chips, and pretzel pieces. 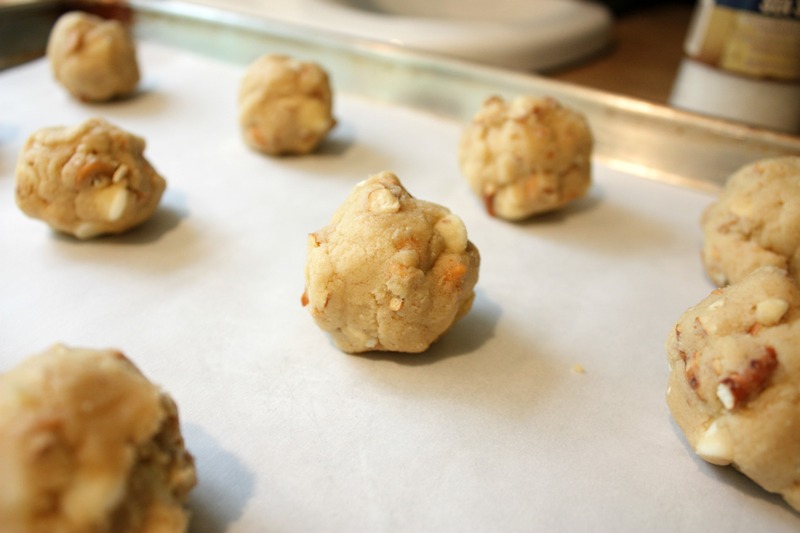 Form dough into balls and place onto your baking sheet. Silpat AE420295-07 Premium Non-Stick Silicone Baking Mat, Half Sheet Size, 11-5/8″ x 16-1/2″ ‘>Silpat liner will make clean up easier but aren’t required. Press the dough down slightly and sprinkle with sea salt. 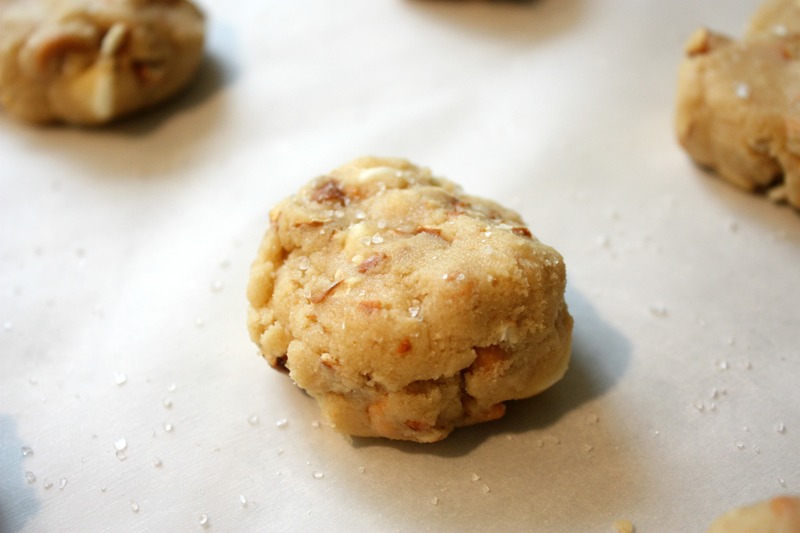 Bake the cookies for approximately 10-13 minutes or until golden brown. Let cool for a few minutes then transfer to a cooling rack.